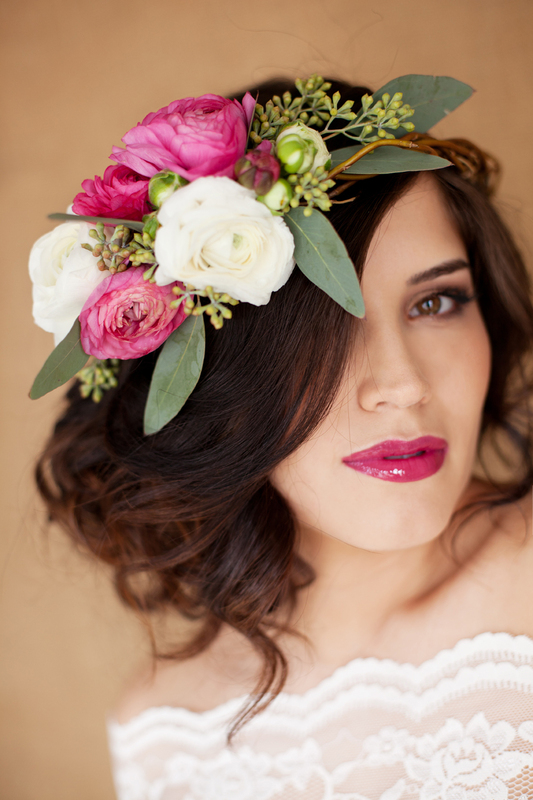 Flowers, flowers everywhere and especially in your hair! Options available to you are flowers made from pure silk. These are usually hand cut, shaped and fixed on to either hair pins or small combs. The great thing about silk is that you get a lovely muted colour that looks amazing for the photographs and you can embellish the centres of the flowers with either Swarovski crystals or even fresh water pearls. 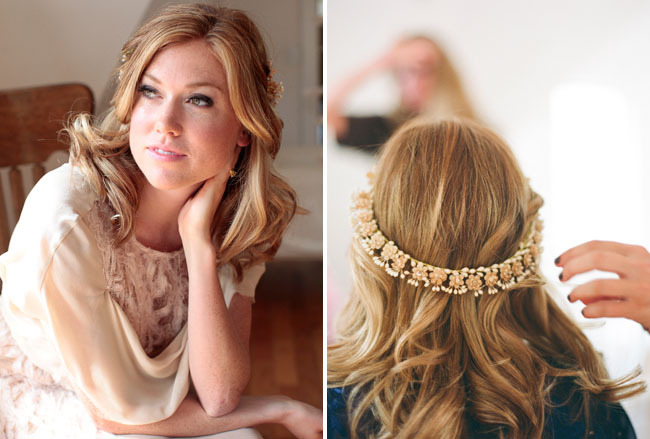 You can ask for lace backing that surrounds the flowers giving a deeper, richer look. Vintage brooches and jewellery can be taken apart and re-designed and worked into a unique hair flower design to match your theme and outfit. Look for small vintage Marcasite clip earrings as these can add depth to the design and surround these with silk or lace and you have a unique yet very cost effective bridal hair flower. Wax flowers are going to be making a statement in 2013 we think. 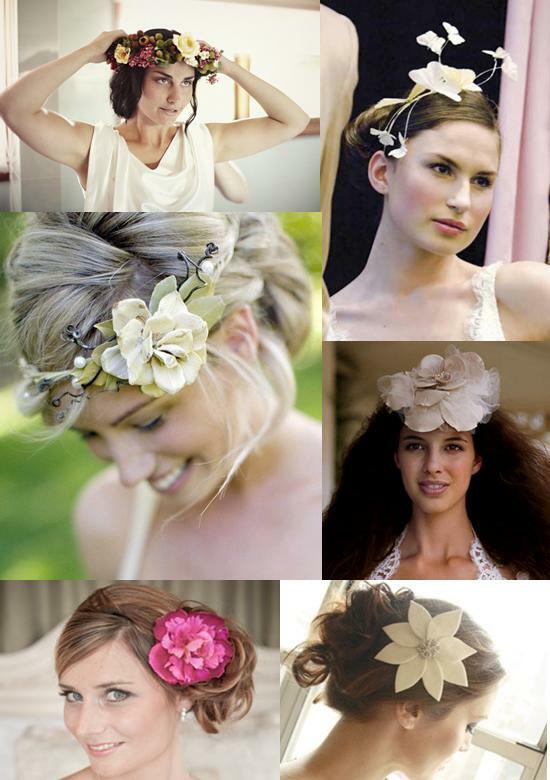 Vintage wax flowers are not always easy to come by but can be a really quirky alternative to your usual bridal headdress ideas. Whichever way you decide to go with your flowers, a lovely idea is to try and tie your whole theme together so if you're going for roses, then have a rose design featured somewhere within your headdress. Look out for a company who can work with you and your designs and most importantly your budget to create that one-off, bespoke creation just for you.